This app is not available at the moment. 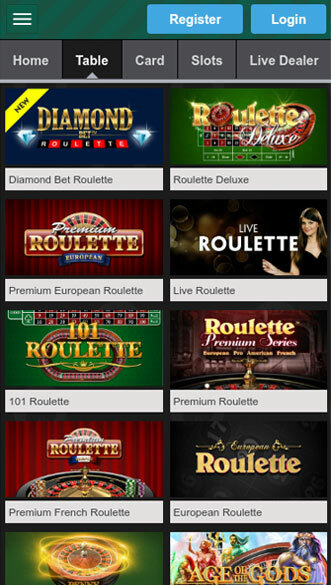 Please, refer to our Casino Apps Section to choose another one. Paddy Power is a respected Ireland-based bookmaker which has hundreds of betting shops across Ireland and the UK, as well as a diverse online operation that comprises of online betting, casino, poker, bingo, and online games. 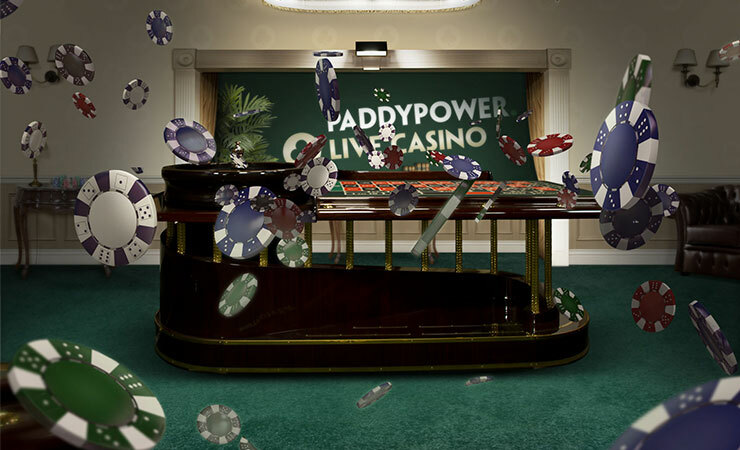 The mobile casino of Paddy Power is becoming increasingly popular, especially among British players, as it offers users convenience, safety, and a great variety when it comes to gambling options, casino games, and payment methods. 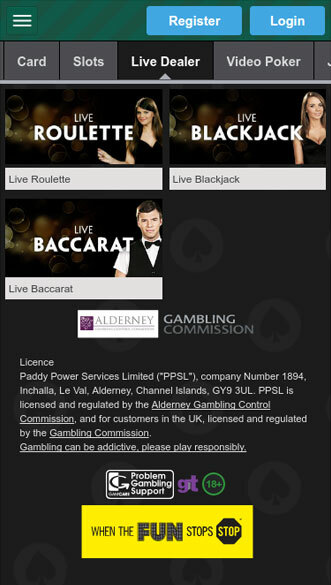 Paddy Power is licensed and regulated by the Alderney Gambling Control Commission and the UK Gambling Commission. After it merged with British online gambling company Betfair, it became one of the largest online casinos and racebooks on the Internet. The casino section of the website can be instantly opened from any laptop or desktop computer, and from any portable device. It is compatible with all modern mobile platforms, including iOS, Android, BlackBerry 10, and Windows 10 Mobile. It loads in the most-used web browsers, which makes it universal and easy to access for all kinds of players. The gaming library is extensive, featuring high-quality games across various categories – online slots, table and card games, as well as popular progressive jackpots. Alternatively, mobile players can also download one of the many Paddy Power applications which were created specifically for smaller screens, having fast loading times, a great design and a user-friendly interface. 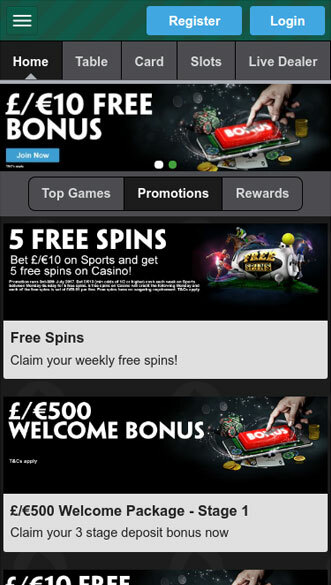 Along with the Paddy Power Casino App for iOS, the gambling operator also offers many other apps for iOS and Android-powered devices – Paddy Power Sports Betting App, Bingo App, Live Casino App, Poker App, and others. Paddy Power Casino App for iOS is available for free download from iTunes and directly from the casino website. Owners of Android devices, on the other hand, will need to visit the site on their phones or tablets in order to download and install one of the apps on offer. However, there is still no casino app for Android. The native casino application for iOS gives access to nearly 300 games, which is an impressive collection in comparison with most gambling apps on the App Store. Developed by Paddy Power PLC, it is a proprietary product and features games mostly from Playtech, a leading Isle of Man based software provider. There are also several games by IGT and a couple of Ash Gaming titles, including the fast-paced, Safari-themed Wild Gambler video slot. App users can practice new games in demo mode before playing for real money, which is of great convenience, especially for newcomers. Once the app is downloaded and installed on the mobile device, players can register or log in with their existing username and password. Then, they can manage their account, including the method they use for making deposits and withdrawals. Multiple banking services are accepted – wire transfers, cheques, MasterCard, Visa, PayPal, Neteller, Skrill, Solo, Paysafecard, and Entropay. The casino app allows instant deposits and fast withdrawals that take from an hour for e-wallets to 4 or 5 business days for bank transfers. Players who decide to open an account at Paddy Power need to know that payments can be made only in EUR or GBP. Another great feature of Paddy Power Casino App is the Live Chat functionality – the support staff is available on every day of the week and year, so players can ask for assistance and receive an answer within minutes. There are also several phone numbers and an email address for English-speaking users. The application is available in English and Italian, but no other language is supported. The mobile app is compatible with iPhone, iPad, and iPod touch and requires iOS 7.0 or a later version of Apple’s operating system. The games load quickly in both Wi-Fi and 3G/4G. The casino app hosts a large number of games designed specifically for Apple devices. Most of them are provided by Playtech and are available for free play even without registration in the casino. They are divided into several sections, including Slots, Table Games, Jackpots, and Scratch cards. However, users who prefer the Live Casino, will need to download a separate app either from iTunes or, for Android phone users, from the Paddy Power website. There is a great selection of online slots available via the mobile app, which is one of the reasons behind the popularity of Paddy Power on mobiles. Although the number of software developers represented here is not large, users can play some of the best Playtech slots – Rocky, Great Blue, or Halloween Fortune. There are also plenty of branded DC Comics games like Superman the Movie, Green Lantern, and the Batman video slot series. Progressive jackpot slots are undoubtedly very popular among casino players because their jackpots increase with every bet placed on each particular game. While some jackpots depend on the wagers made in one particular casino, others are pooled from a network of casinos and there, the jackpot can reach millions of pounds. 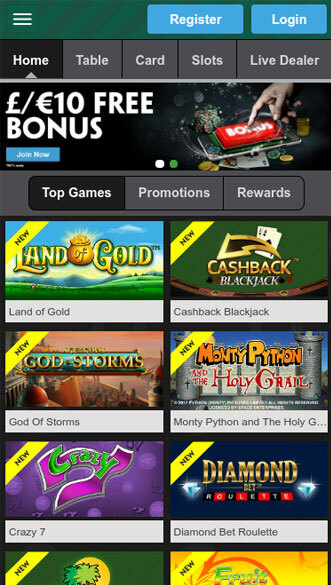 Players who choose to download Paddy Power Casino App can try their luck at a large portion of Playtech’s progressives – White King, Jackpot Giant, as well as the popular Age of the Gods slot series. App users will have a nice range of virtual table and card games to choose from – over a dozen blackjack tables, as well as more than 10 roulette games. Desktop players, on the other hand, will have access to several poker games, baccarat, and craps. For those who dream of playing at a land-based casino but, for one reason or another, still have not done so, Paddy Power has created a dedicated Live Casino App. Owners of iOS devices can easily find it on iTunes and download it for free, while users who have Android phones and tablets can download the app from the casino website. The installation process will take no more than 5 minutes – all you need to do is load the casino address in the browser of your Android device. Then, go to the section, called Mobile, and tap the Download button. Open the security settings on your device and allow installation from “Unknown Sources” and then, you can start installing the downloadable app file. Opening Paddy Power Live Casino App, users can experience the authentic casino atmosphere thanks to the high-quality video streaming directly to their iOS or Android device. There are roulette, blackjack, and baccarat games in multiple variations and tables with different betting limits. Of course, fast and secure deposits and withdrawals can be made via the app, so players do not need to open the live casino on their desktop computer – the app will provide you with the ultimate casino experience. The mobile application is available in multiple languages – English, Bulgarian, Czech, Danish, Dutch, Estonian, Finnish, French, German, Indonesian, Italian, Japanese, Korean, Malay, Portuguese, Romanian, Russian, Simplified Chinese, Slovak, Spanish, Swedish, Thai, Traditional Chinese, and Vietnamese. Current Paddy Power features the following promotion: Deposit £10 Play with £60 + 20 Free Spins. Apart from the offers for new players, Paddy Power also holds various promotions and special events that are oriented towards existing members. There are various cash-back offers, weekly rewards, and tournaments where the best players can win free spins, bonus funds, or even holiday packages.